Arguably among the most consequential policy considerations for Salt Lake City’s next mayor is the development of the state-created inland port, a massive distribution hub planned for a large swath of the city’s west side. Salt Lake City Mayor Jackie Biskupski, who unexpectedly announced earlier this week that she was withdrawing from the 2019 race, has vehemently opposed the state’s control of the port. She has declined to participate in policy discussions around the development and, most recently, filed a lawsuit challenging what she sees as the state’s unconstitutional usurping of city tax and land-use powers. “I sure wish I could have stopped that dang port,” she told reporters Monday with a laugh when asked whether she had any regrets from her time in office. The mayor has committed to pushing her lawsuit during her remaining time in office and also says she will stay active in mayoral debates surrounding the issue. So where do the remaining candidates stand? Former state Sen. Jim Dabakis, who early polls show is the current frontrunner in the race, said he “absolutely” supports the mayor’s decision to file a lawsuit and thinks it’s important that the litigation moves through the courts. But it’s quite possible that whoever serves as the next mayor will take a different approach than Biskupski has to dealing with the state and the board it has appointed to oversee the development. Most of the candidates vying to replace her agree that the development represents an overreach of state power, but some said they would not replicate her hardline approach, if elected. Penfold, former Downtown Community Council Chairman Christian Harrison and businessman David Ibarra told The Salt Lake Tribune that they’re still trying to understand the particulars of the mayor’s lawsuit and would not comment on whether they support it. Ibarra and former Pioneer Park Executive Director David Garbett said they would work to negotiate with the inland port board in an effort to resolve disputes, resorting to litigation only as a last resort. “I would suggest if we can’t come to an agreement that we ask for guidance from the judicial system and have it be heard so we know which one of us is right so we can negotiate properly,” Ibarra said. Partially in response to the inland port development, Harrison, who launched his campaign Wednesday at City Hall, is advocating for the city to lead a coalition of municipalities, residents and legislators from around the state to pass a local control amendment to the Utah Constitution that would guarantee cities the right to govern themselves. The city has long planned to build on its largely undeveloped northwest area, creating a distribution hub. Concerns from advocates focus on whether the state will develop the land in a sustainable way now that it has control over the area, though Inland Port Authority Board Chair Derek Miller said the board plans to do so. Richard Goldberger, a freelance journalist, said he thinks the inland port lawsuit should be “put on hold,” citing the expenses of litigation to the city. 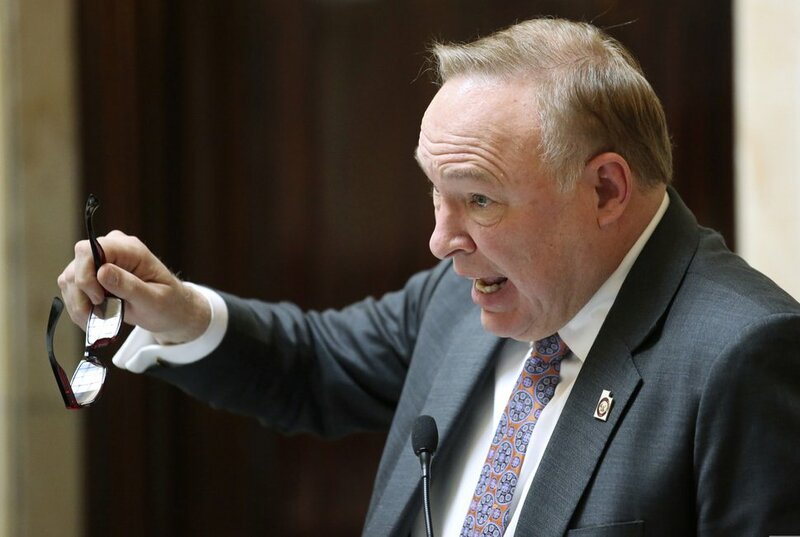 He would advocate for creating an Utah Export Expo, a permanent trade show, in the place of the inland port, which he says would be less impactful on the environment than the rail and light manufacturing currently expected to be in the area. Salt Lake City Sen. Luz Escamilla, whose district encompasses the inland port area, could not be reached for comment Thursday. Multiple attempts to reach Aaron Johnson, a veteran who has filed a campaign committee to run in the race, were unsuccessful.